Ludlow Police reported a second of two large busts in the same week on Friday. Drugs and $2,000 in cash were seized on Friday night. 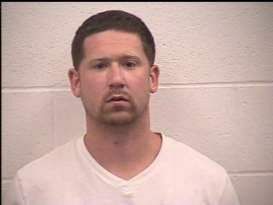 Meanwhile, Timothy Perkins, 25, is in the Kenton County Detention Center facing charges of trafficking marijuana (less than 8 ounces, first offense), possession of drug paraphernalia, possession of an open container in a vehicle, and failure to wear a seat belt. He was arrested by Ludlow Police on Friday evening and is scheduled to appear in court on Tuesday. According to Ludlow Police, Friday's seizure was the second large bust for the city this week. On Tuesday, an arrest was made, a vehicle was seized, as were money, and heroin.